The other day, a kind company known as Push Start Media sent me Need For Speed: Hot Pursuit as i won a competition. Now, this was one of the games going on my christmas list, but now it doesn’t need to be on there. Anyway, so i’ve been playing it, and i’ve noticed some awesome things about it, and some not so awesome things, but here is my review. Need For Speed is usually a game that is brilliant for the tuning up of cars and making them look gangsta. Along with this, they are usually very similar to arcade style racing games. This all changed when they released Shift. That game was very realistic and less gangsta than most of the other and also focused on actual racing more than street races. This was different, but fresh. Hot pursuit however has kinda gone back to what the games were before, but with a fresh perspective on street racing. You get to play as the police that shutdown the races. And that is so much fun, but more about that later. As it is developed by Criterion Games, you expect a few things. Great graphics, awesome maps and arcade style handling. In this you get all three of those things, and a lot of Burnouts best features appear in this game. It has great graphics and all the cars look nice and shiny, until you crash them, then they just look destroyed. It’s awesome. The map is huge, which is similar to Burnout: Paradise and it covers a lot of different environments. And the cars handle just like the burnout series. Drifting is easy to do, and the cars are just fast and epic really. Along with that, the nitrous system is pretty much the same too. The more dangerously you drive, the more of it you get. Essentially, this is just a new Burnout game, in a new skin, and it’s fantastic. One thing that has been taken out from this game that is in other Need For Speed titles is the car tuning and upgrading. I’m not too sure why it’s been removed, but it is missed. Instead of buying a car and turning it into a beast, you get to drive pretty beasty cars in their natural form. As you progress through the game, you get a rank for both street racing and policing, and the higher your rank, the more cars you will have access to. On top of this, you get to take part in races that require different car types as you progress. There are a few race types: Standard race, Hot Pursuit, Time Attack and Free Drive. Standard races sees you racing against cars of the same type along part of the map at stupid speeds. Time attack is a one man race to drive a length of road in a certain time. Free drive is, well, free drive. Hot pursuit is brilliant. It sees you either as a police car or race car going essentially head to head for superiority. You have access to several weapons in these races which include Spike Strips, EMPs, Turbo (Racer Only), Jammer (Racer Only), Road Block (Police only) and Helicopter (Police Only). All of these harm your opponents progress in different ways and really shakes up the gameplay from other titles. All of these race types, along with driving dangerously and completing milestones give you bounty. Bounty is used to level you up and unlock more cars. The more bounty you have, the more cars and speed you will have. One awesome feature of this game is the Autolog. This acts like a social media center for the game and is the hub to everything. It gives you news, updates, general information and your friends scores. It uses live leaderboards to mark your progress in the game against your friends, but this also affects your bounty within the game. You post the fastest time out of your friends in a race, you get an extra 2000 bounty. Your friends are better than you at this game, you get no extra bounty. Competitive types, like me, will love this feature. Overall, i love this game. It’s the perfect arcade racing game available at the moment. It combines racing and law fighting like no other game has before it. Even though it is lacking in a few places, you don’t feel it needs it when you are driving a Bugatti Veyron at over 200MPH. 8.1/10. Ok, so Halo: Reach was a massive game this year, and i had the chance to go to the premiere event in London before release. Since then, it has gone on to be the biggest selling Halo game of all, and has the largest number of players to go along with that. But does that mean the pressure is on Bungie to make awesome maps for multiplayer like with Halo 3? With the release of the Noble Map Pack for Halo: Reach, we see some of Bungie’s latest work on the title with the creation of 3 new maps: Anchor 9, Tempest and Breakpoint. I will start with the latter, Breakpoint. Breakpoint is a HUGE map, and i mean proper big. It’s should be used mainly for big team battle, as it can take forever to find anyone. 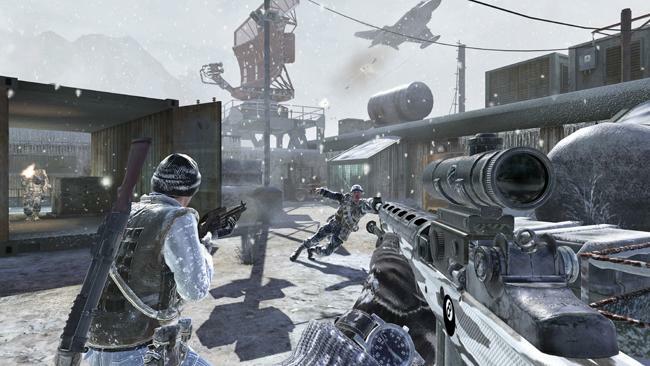 It is very similar to the older map, Avalanche, which was awesome for big team games. On the map you get a variety of vehicles, and 2 bases that are linked together through the mountain in the middle. 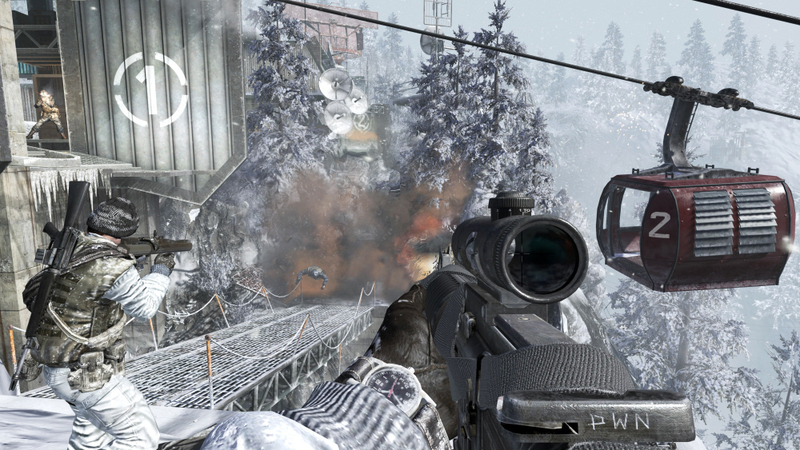 I found it to be quite a challenging map as people like to use the jet packs, sniper rifles and the top of the mountain to generally wipe everyone and everything out. On top of that, as soon as some one is in the Banshee, if you don’t take it down, you are destined to die over and over again. It’s a pretty irritating thing, but it happens. Overall, i was pretty disappointed with this map, it isn’t as fun as Avalanche and can get a bit tedious when people keep slaughtering you with sniper rifles and Banshees. Map 2 is Tempest. This is a pretty average sized map, very similar to Valhalla. There are two base structures at either end with a fighting ground in the middle, with varying surface types and different height levels. There are a few cave passages and a river to one side. This map is brilliant for 6 v 6 team battles, and even some rumble pit game types. A lot of the fighting here is medium to long range, but you can get some close range encounters, so it’s worth carrying a shotgun or something. There are no vehicles on this map, which makes the battle a lot more even, and means you can spread out a lot more. I have found the best tactic is to hang wide with the DMR and pick off the weaker ones with head shots, and just back up people on your team with cover fire. This is a pretty fun map, but i don’t see myself picking it over some of the pre-existing maps. The final map is Anchor 9, and this is a small map. Built in a space station, you can battle inside, or outside in space. That part is pretty epic, and sounds awesome. However, you are very very vulnerable when out in space as travel is slower and jumping can take a while. Inside is a place of death, just pure death. It’s pretty hard to find somewhere that is safe from enemies, especially if you need to recharge your shields. I found that this map is perfect for the smaller team games, and rumble pit games too. Head hunter is brilliant on this map, and can really test a players skill. Again, there are no vehicles on this map, but that’d be silly if there were. This is by far the best map in the pack, and is a favourite of all the maps in Reach. This map pack overall is pretty average, and at 800MSP is a pretty good deal. It does add an extra 250 achievement points for you crazy achievement hunters and really shows what the developers can do with maps. I have enjoyed this map pack and am looking forward to the next one, whenever that maybe.